Zoom duals are designed for use in vehicles utilizing the stock heater boxes or J-Tube. 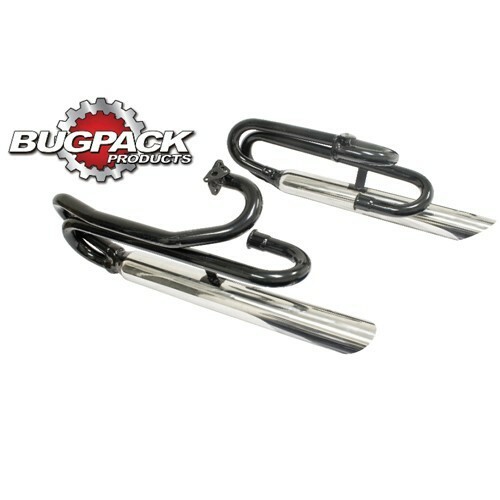 The racy zoom glas pack mufflers are chromed for that custom look. Was specifically designed to accommodate the kit car and full body dune buggy applications. Comes complete with all necessary hardware including sufficient hose for installation of heater pipes.